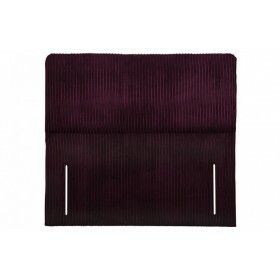 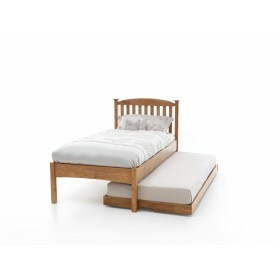 Shaker design principles have clearly been embodied in this charming, simple design that presents cl..
Barcelona Hide Away, Low Foot End only (90cm x 190cm mattress size). 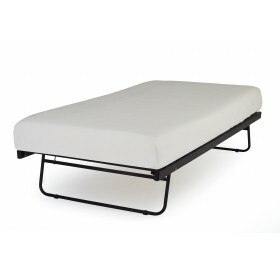 Available in Stone White Lac..
Sharp, clean lines and a deep side rail make Carra a contemporary design to capture the imag..
Straight and modern. 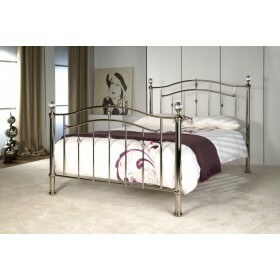 Available in 3 foot (90cm), 4 foot 6 (135cm) .. 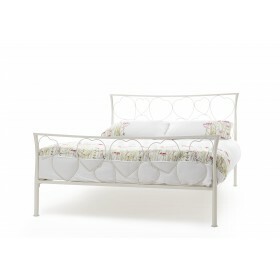 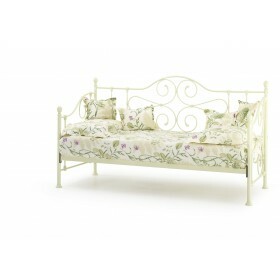 Stylish daybed in Ivory finish. 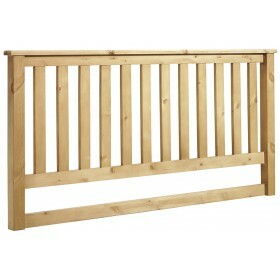 Slatted base. 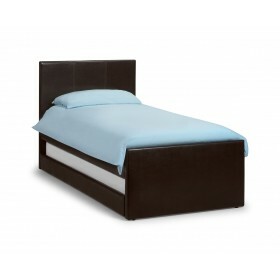 Optional Lunar guest bed also available with the..
Feminininely styled, Chloe is a playfully imaginitive design that will add a touch of personality to..
Cosmo Guest Bed in Brown Faux Leather with Sprung Slatted Base. 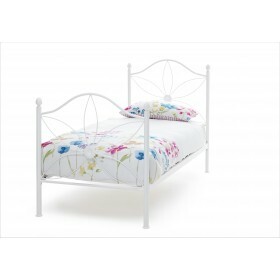 ..
Named after the charming daisy in the head and foot-end, this beautiful design is available in a whi..
A stylish bedstead made from solid wood with a gently curved headboard and footboard in a white fini.. 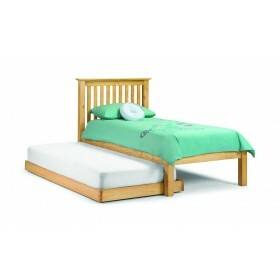 The Eleanor guest bed is designed to be neatly stored when not providing additional sleeping space. 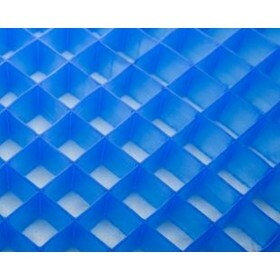 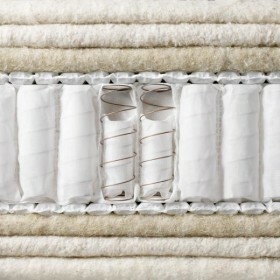 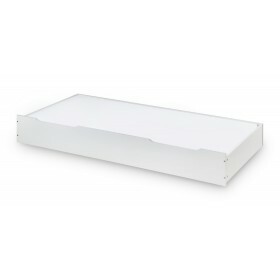 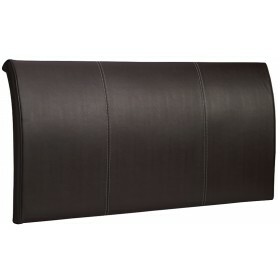 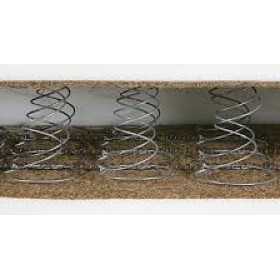 ..
Underbed/ Storage Drawer Self Assembly Mattress size 90 x 190cm (3ft) 193 x 95 x 27cm H .. 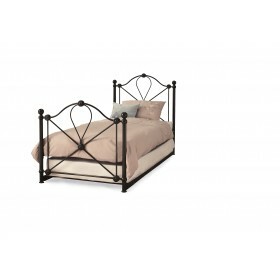 The low foot end and contempoorary styled headboard in the Esther design provide a sense of characte..
A certain charm surrounds this elegant day bed design, presented here in a luxurious Brass finish, t.. 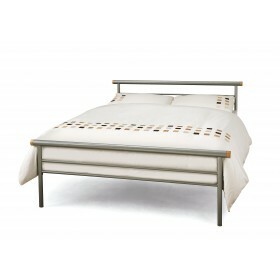 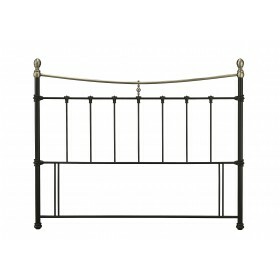 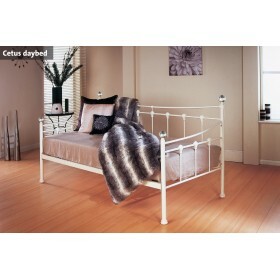 The guest bed can be used on either the left or right of the bedstead. 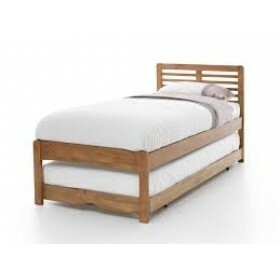 Being on wheels it is highly .. 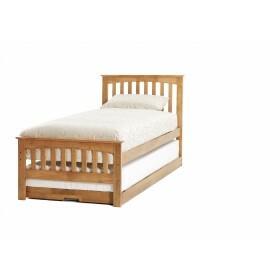 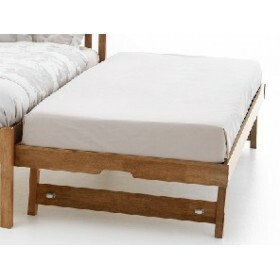 This wooden guest bed is designed to be neatly stored away when not in use ..